Everyone loves listening nice sounds around them all the time. People listen to the songs they love the most. As technology advances, gadgets change and the new ones come and replace the old ones. Every product is unique in its own way. It depends upon the people that which one they like the most or which they have purchased. Now, one of the most popular and the advanced product to listen to the songs is soundbar. The soundbar is actually a rectangular bar. It is actually a loudspeaker that projects the audio from its wide enclosure. Now, there is no need to place big decks in your house. Just place the less space-consuming sound bar on your table. They are wide in shape. It gives a modern and a decent look if you are having this technology. You can do all your day to day work by playing the music on your soundbar. As music is a great therapy that keeps our mood pleasant all the time. 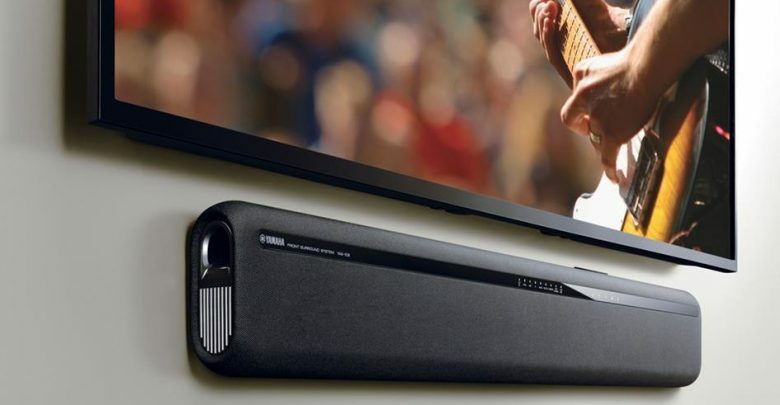 You can use this sleek sound bar anywhere you want. It is portable too so there will be no problem at all. You can use soundbar at your home, in your car or any other function where loudspeaker needed for songs. This will give you the best deep and loud sound without any distortion. At once, I also use loudspeakers in my house. They consume a lot of space and also seem like a giant machine placed in a corner. But when I came to know about the sound bars, I was surprised and extremely happy. I wanted to purchase it so I did a lot of research. As taking a good one according to your need is a must. So that you just once spend your money on it. Then there is no need to change that thing again. That’s why is good to seek a proper guide before buying anything. 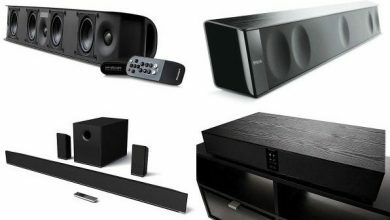 1 How to Choose a Soundbar? 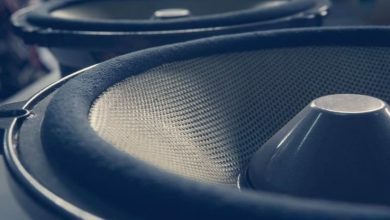 3 Types of Soundbars – How many sound bar channels do I need? Here, I have explained what features to look for, when buying a soundbar. Before buying a sound bar, access all these important features. Channels are the first and the foremost thing to consider before buying a sound bar for you. Always select that one which is having 3 or more channels. As fewer channels sound bars are also available. But you will not be able to enjoy them with full liberty, as they are just not more than glorified mini stereos. With the availability of 3 or more channels, you will be able to enjoy this product at its peak. By this, you can simulate the sound for a more immersive and amazing experience. When you are going to buy a sound bar, then think first that at which place you will be going to place it in your house. You think that it is a minor useless thing. But these kinds of mini things matters a lot. This is not a minor thing but actually, the major thing to consider first. You might think of hanging it on the wall or to always keep it on side tables. But safe and a proper way to place your soundbar is the center position below your LCD or TV. But make sure that you have enough space there. Otherwise, you can also place it on any other better and safe place in your house. You must go with the active soundbar. Active sound bar means that one with the built-in amplifiers. As I said it is a must to read a detailed guide before buying and everyone has different choices. So, if you don’t like the loud sound that you can take the other passive one. But if you want that you place this product at one corner and music sound come to all the corners of your house, then an active soundbar is a must. You will also be able to use the active soundbar on any other open area. And it will give you the loud and a perfect sound anywhere. If you want a 2 in 1 solution and also the less space consumption, buy the active soundbar and have the fun. See that the soundbar you are going to take has enough options for connectivity or not. You should buy that one which is having the connectivity for WI-FI and Bluetooth. This will give you the ease and a facility to stream music from any device. You can do wireless streaming with your mobile, tablets, desktops and laptops too. You can send and play your loved songs stored in any of these devices. This is such a good and a great facility. Yu should choose a soundbar that comes with a better conenctivity options. Good sound bar also offers the HDMI connectivity. Look for this connection too while taking one for you. This will make you able to switch the audio sources easily without re-routing to the HDMI cables. When you buy a sound bar, make sure that you are purchasing from the right place. You must check for the manufacturer’s warranty card, along with the product’s warranty and service support too. Sound bars are slim and having a low profile. 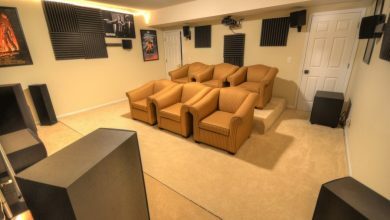 They take extra less space than the loudspeakers or any of the other sources for loud music. 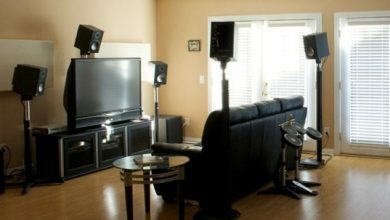 You will not need the extra amplifiers and an environment for home theater will be created for you within no time. It’s a great facility. You just need to spend your money on a soundbar. Because they are 2 in 1. You don’t require spending on any of the extra things like speakers, amplifiers and other things too. This will create a soothing and relaxing atmosphere for you. This protects your ears too. As listening to songs by using headphones, cause pain in your ears. But soundbar is completely environmentally safe. Just play the slight background music and do your work. In short, using this product has many advantages. So, let me tell you more about this amazing technology. Types of Soundbars – How many sound bar channels do I need? 2 channels soundbar is having 2 speakers in its left and right. This will give you a good sound but if you are a loud music lover then you should choose the better version of a soundbar. This soundbar has 3 speakers. One is in its center, and other 2 are in its left and right that produces a loud and a crispy sound like your desired one. Now, it depends upon you that which one you like. It has also the same speakers’ locations, one centered, one in left, one in the right; the difference is that it is also having the 2 rear speakers. This will be fit for the home theater environment. If you prefer decent music with enhanced quality then choose a soundbar with 5 channels. This 7 channel soundbar is actually the same like the 7 channels sound bar but it is with a bonus too. By splitting the rear and the surround channel information into 4 channels. This is the most advanced channels sound bar. 5x 7 channel soundbar is also called as the ‘’Holy Cow’’ version of the sound bars. Every channel is different from each other. The difference in this one is that it has upward firing speakers which reflect a heightened and a three dimensional sound. You can also easily understand this channel number, like if it has written on it; 5.1.2 or 7.1.2. You read out the 3rd digit, this actually represents the upward firing speakers that I was talking about. This will be actually 5 x 7 channel sound bars. Here I will tell you how to use this new and the latest technology. First of all, let me tell you that you have to use this product with great care. As they are highly durable but it does not mean that if you use it badly, then it will maintain its durability. It’s a sensitive thing, that’s why I told you about its proper placing position. The next thing is that you can handle the soundbar with the help of a remote. Many of the sound bars come with the remote. You can use it manually also by adjusting its few button options on it or by using the remote. I personally only choose a soundbar that has wireless controls. Further, you can connect your mobile or any of the other devices with a soundbar too. This will make you able to play the favorite soundtrack list on soundbar that is stored in your other devices. Otherwise, you can select the sound bars by checking its connectivity options. Ok so let me tell you all about this too, so that there is nothing unclear in your mind. You can select the sound bar by checking that how many connectivity options it has. USB is pretty much good and a vast option for enhanced connectivity. You can simply connect your USB and play the music list. This is the best connection between your soundbar and TV. Actually, this is a reliable and the easiest method of connectivity. But there is only one limitation that it has not any bandwidth to carry over the signal 5.1. When things come to wireless, there are two main connectivity options. Bluetooth and WI-FI. Bluetooth makes it easier to do wireless streaming and enjoy your favorite music. WI-FI is the more advanced connection ease. By establishing a stable internet connection, you can play whatever you want. It is another good option. It is available in some of the sound bars too. If you want to make a connection with HDMI port. Then, take this sound bar and enjoy. I have explained each and everything about this topic. Now, you don’t need to go anywhere else. Read this detailed guide. I use a 5 channel soundbar. It is just awesome. Whenever I do a house party with my friends, I always use my sound bar. Even my all friends are very much impressed. They also want to buy a sound bar now. I am taking the full joy of this modern technology. Whenever I am home, I play the slight music on it. This all refreshes my mind. The background music keeps playing. And I do all of my office work and some of my laptop work with a relaxed mind.